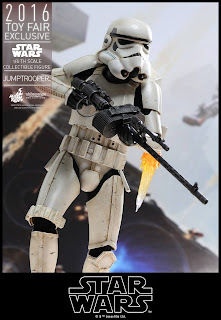 Thought it will be over after their recent Gold release? 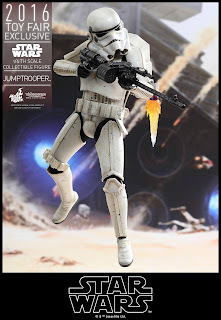 At least a little break? 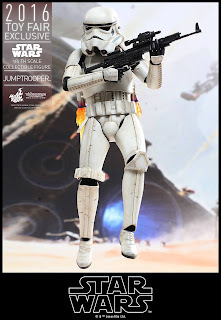 Nope, more troopers storming in and this time from Battlefront! 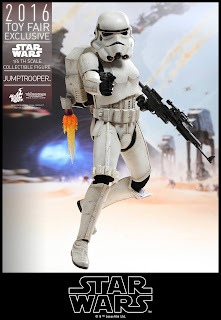 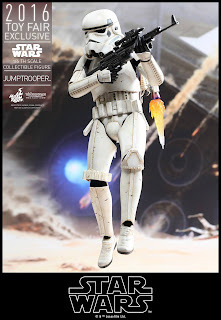 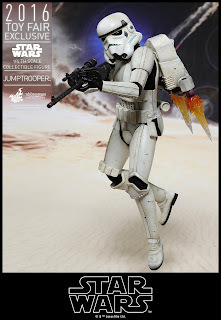 Jumptrooper ready to launch! 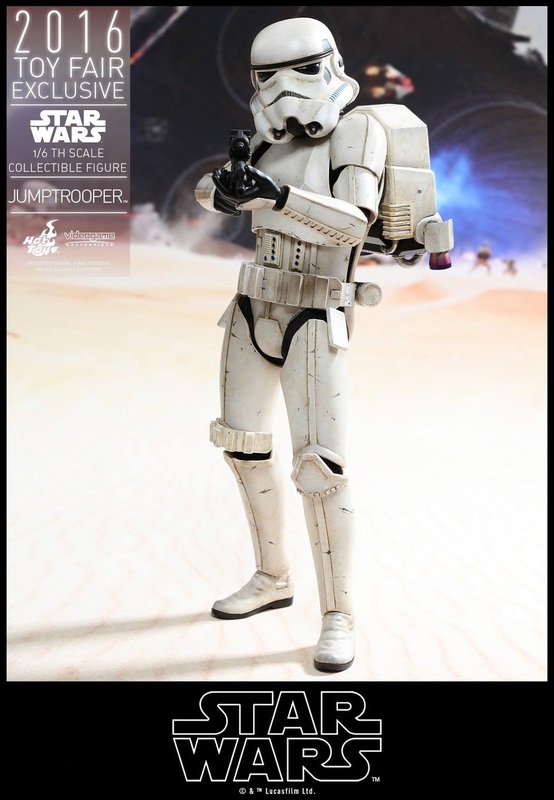 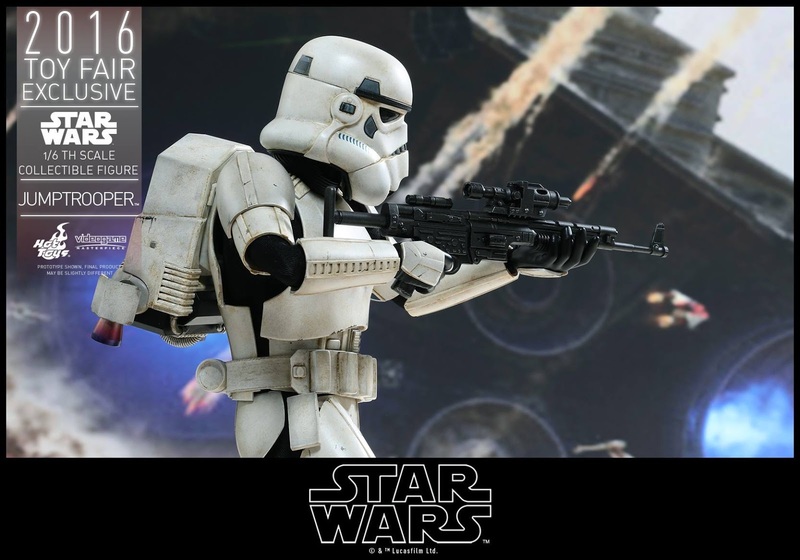 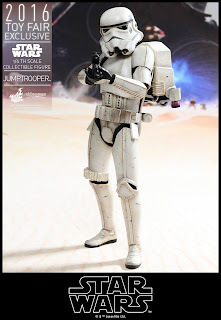 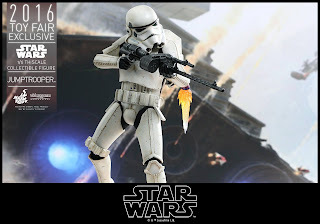 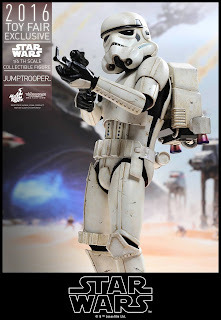 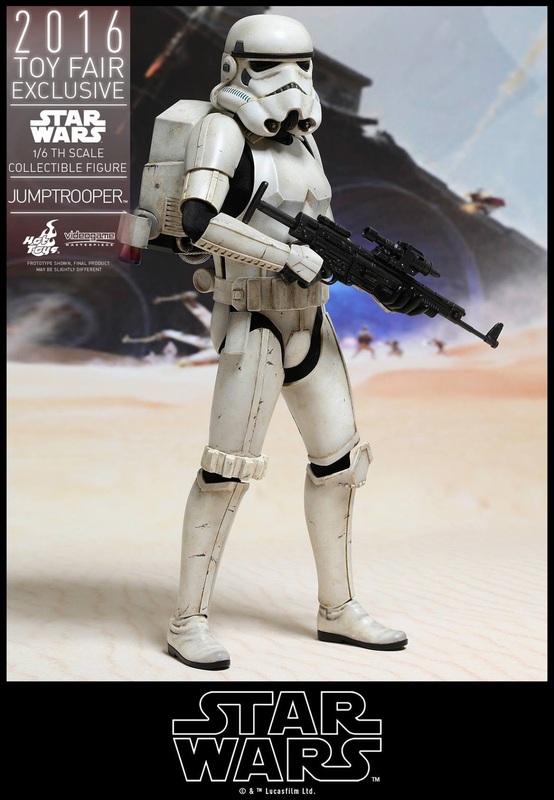 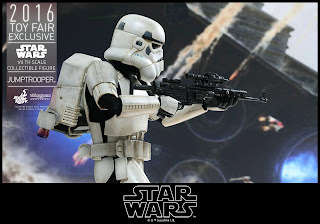 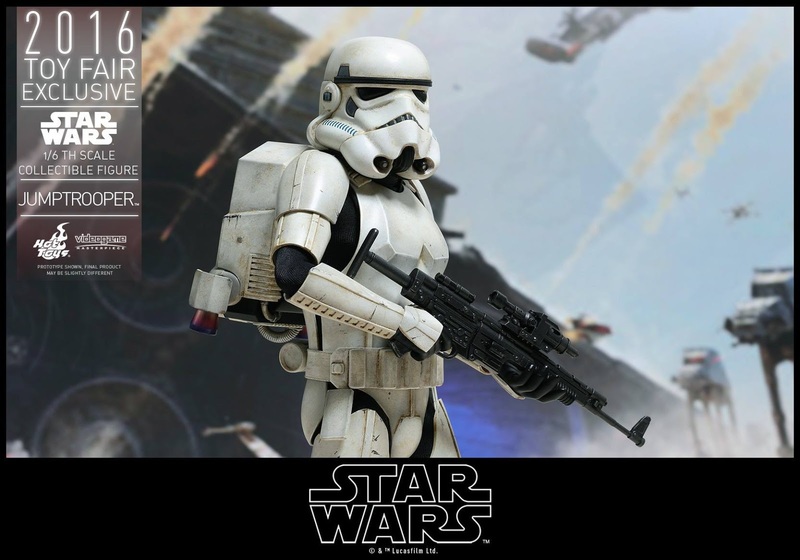 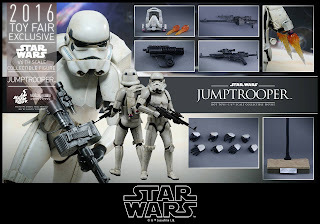 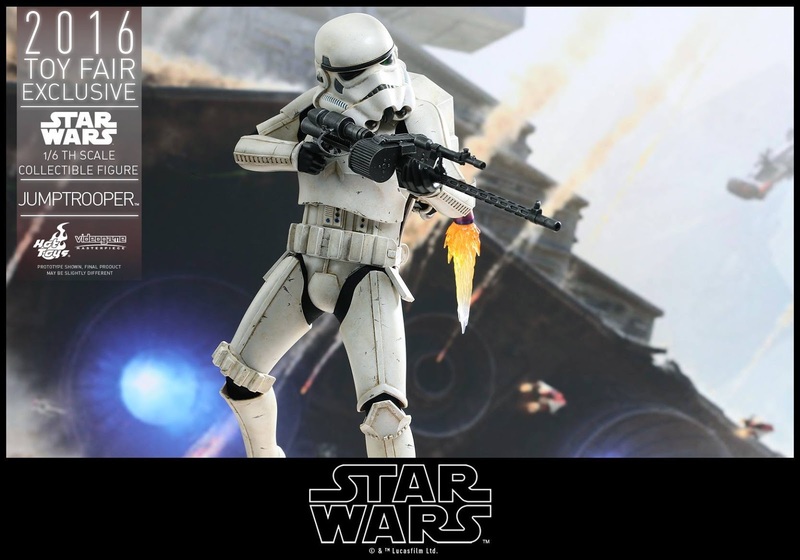 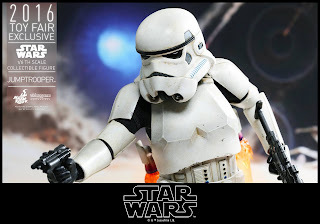 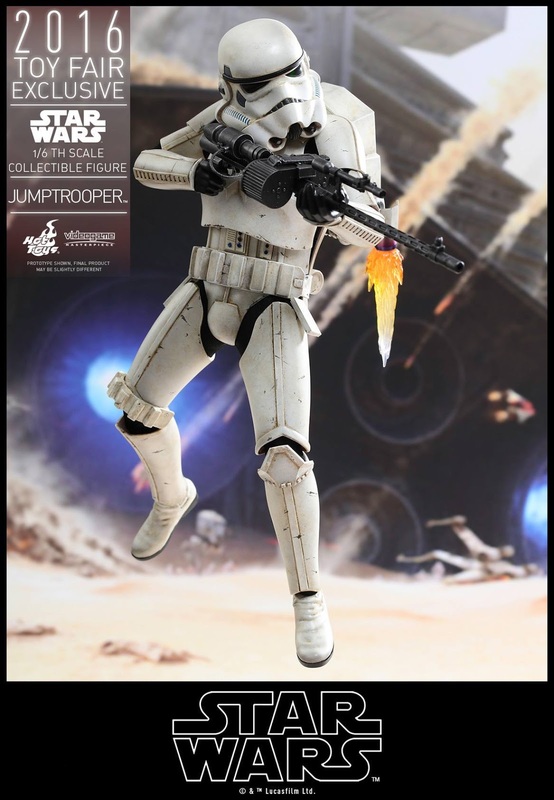 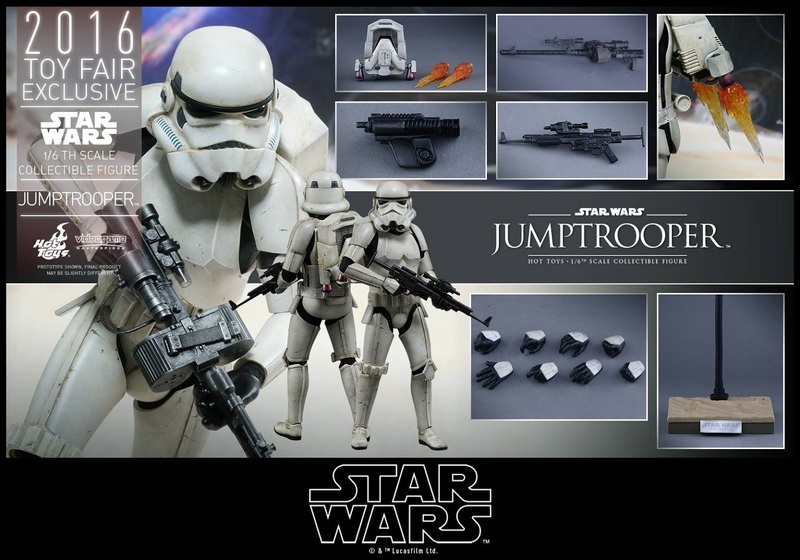 Following the release of the Shock Trooper 1/6th scale collectible figure from the popular game EA Star Wars Battlefront, Hot Toys is delighted to continue to expand the Video Game Masterpiece series and officially present the 1/6th scale collectible figure of Jumptrooper as one of this year’s Toy Fair Exclusive items.